Do you want to create a website? It turns out that it's pretty easy to do. In this guide, I'll show you the easy steps that you can do to get your website up and running quickly. The steps are for those interested in getting their own domain and hosting, which is far superior than other options. Before we begin, it's important to understand what is actually going on when you set up your own website. Basically, when someone types in the address to your website, they first interface with the Domain Name System (DNS), which tells them what IP address that your website is hosted on through something called "nameservers". This is handled by your domain registration company. Then their web browser connects them to the IP address for your website, which is a webhost where a server has all of the files for your website. You could have any collection of files that you want on that webhost server. However, a very popular software that has been developed does all of the hard work for you, so that you don't have to know any coding if you don't want to. That software is called WordPress, and it is used by over 28% of the websites on the internet, and it continues to grow. WordPress is a content management system, which serves as a platform that you can add other things on top of it, including plugins that add desired capabilities to your website, and themes which change the look of your website just the way you want it. The winning feature of WordPress is that it makes all of this very easy to do. All of these features allow you to add content in the form of text, images, and video to your website very quickly and easily, so that you can focus on bigger and better things, instead of coding everything from scratch. It's very important to keep your web domain registration separate from your web hosting. The reason why is that if you ever need to change web hosts, some people have run into trouble transferring their domain to another web host, and actually lose their website. Namecheap is one of the best companies for domain registration in terms of price and support. Go ahead and register a domain name first in order to start the process. You can find detailed instructions on how to do this here. The web host will actually maintain the server that people connect to when visiting your website. It's important to choose a good web host so that you have great site performance, security, support, and great pricing. SiteGround meets all of these requirements and is one of the best out there right now. It's won best webhost for several years in a row now. The next thing you need to do is create a web hosting account for your website. You can find detailed instructions on how to do this here. Now that you have a domain name registered and you have your web hosting account set up, you need to link both of them together. You can do this by pointing the "nameservers" in your domain settings to your web hosting. You can find detailed instructions on how to do this here. Before we dive into the steps, let's go over a few key details that you need to be aware of regarding WordPress. WordPress powers around 28% of the internet, and that number is continuing to grow. It is by far one of the most popular website platforms around. WordPress.com - a site where you can set up a sub domain under WordPress (example: yoursite.wordpress.com), or you can make it look like an actual website and have WordPress host it for you on their servers. WordPress.org - the main place for the WordPress platform, including downloads, themes, and plugins for the standalone version of WordPress that you install and control on whatever web hosting server you prefer. In order to have your own hosted website, you will be using the standalone WordPress version that you get to install on any web host that you want. That way, you maintain 100% control over your website and have a lot more flexibility. With the WordPress standalone version, you can add a theme and plugins to change the functionality in many different ways. It allows a total customization of your website. 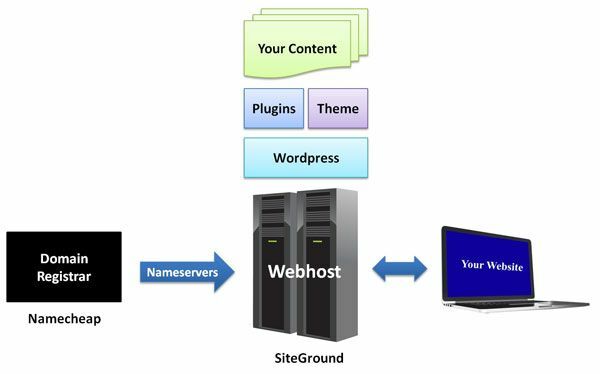 Since we are using the WordPress.org version of WordPress, luckily, Siteground makes it very easy to install it on your website once you have your web hosting account all squared away. You can find detailed instructions on how to do this here. After you have successfully installed WordPress, there are a few settings that you will want to change that will make WordPress work much better for you. You can find the best settings here. Now that you got your WordPress website up and running, it's time to take a test drive and see why WordPress is so popular. If you are new to WordPress, I've put together the fundamentals that will get you looking like a pro very quickly. You can find the basics guide here. Now that you have your domain, web hosting, and WordPress up and running, it's time to start creating awesome content for your website! It's the perfect time to make your personal website look amazing to show off to your friends and family, or deck out your business website so that you can start getting new customers. If you want to check out the best places to get images, video, and audio, head on over to our resources page to see our recommendations. It's great to have your own website. Now, if you want to get it in front of more people, then the best way to do that is to focus on search engine optimization (SEO). SEO helps you rank at the top of Google search so that people can find your website when they search for things related to your website. 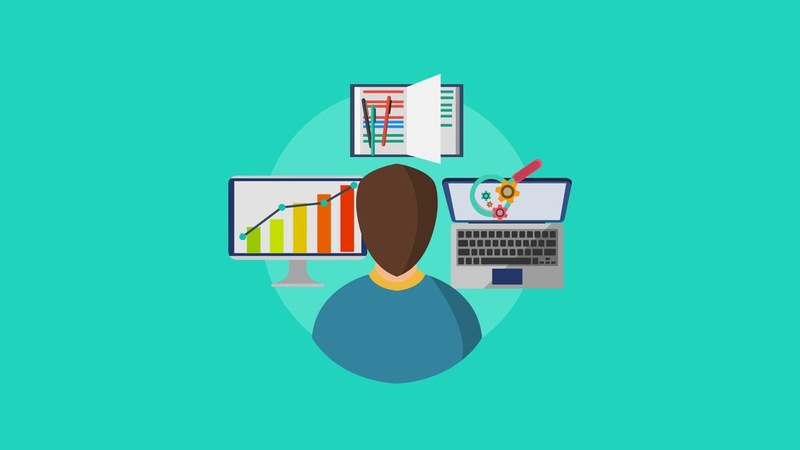 If you want to learn the best ways to improve your SEO performance for your local business, check out our local SEO guide. You want to protect all of your hard work. That's why backing up your website on a routine basis is important. Luckily, with the Grow Big and Go Geek web hosting plans on Site Ground, they make it super easy to do. There is a great tutorial on how to use their backup tool.